Regardless of the size and maturity of your enterprise, your commercial contracts are fundamental to the success of your business. Our commercial and business law practice provides comprehensive, informed and practical advice to support your business objectives. Our multi-specialist approach enables us to advise you across all practice areas in relation to commercial activities. Whether your business operates at a national or cross-border, we devise strategies to mitigate risk and maximise contract value. Our firm provides advice on commercial contracts and arrangements to support our clients’ day to day and strategic business. We possess extensive experience drafting commercial contracts in areas including logistics, agency, distribution, sales and marketing, packaging and manufacturing and franchising, outsourcing and offshoring, e-commerce, licensing, advertising and sales promotion. Our lawyers combine sector and technical knowledge and expertise with the ability to craft innovative contractual solutions. 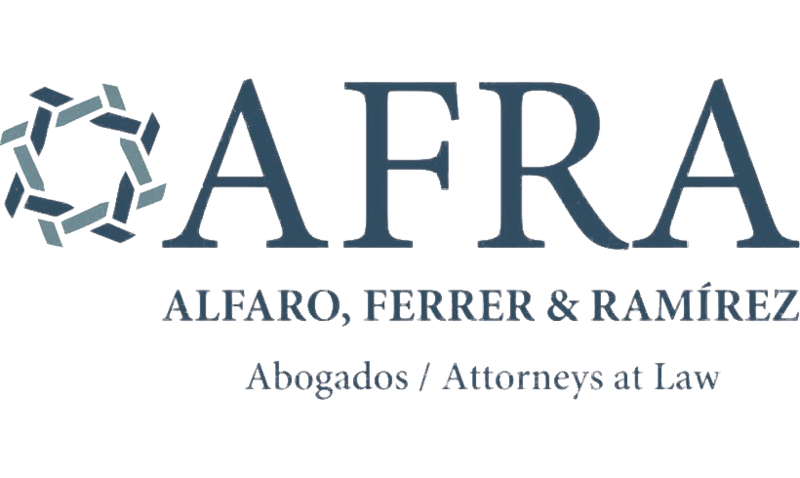 Alfredo Ramírez Jr. and Luis López Alfaro will be happy to put you in contact with our appropriate attorney to handle your commercial law questions. Panama enjoys a strategic geographical location, a dollarized economy, political stability and sustained growth of gross domestic product. The country has entered several bilateral treaties with other countries and features a Free Zone. For these reasons, Panama is recognized as the largest free trade hub in the Western Hemisphere. Cross-border business takes place against a complex and ever evolving framework of international and domestic law and regulations. At AFRA we assist our clients navigate this framework to maximise opportunities and manage the impact on international trade of your company’s goods and services. For more information on International trade law matters contact Alfredo Ramírez Jr. and/or Luis Lopez Alfaro.